Since you have to win an entire Super Bowl to get people to dump a bucket of Gatorade on you these days, we decided to round up the five other best ways to cool off with something absolutely delicious... and often full of booze. 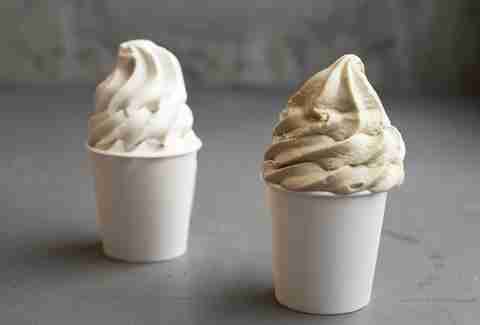 Presenting: the best frozen treats in New York. 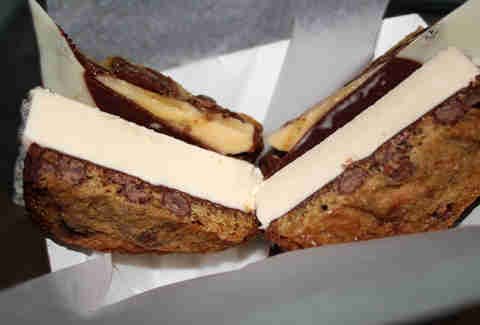 They're even better than that ice cream baseball mitt with the ball that's made of gum. All over the city, Momofuku's dessert arm is whipping up never-before-seen sweets, and that definitely applies to their soft serve flavors, which range from blueberry pie with buttery pie dough and blueberry compote in Carrol Gardens, to cherry donut on the UWS, to Midtown's miso butterscotch. 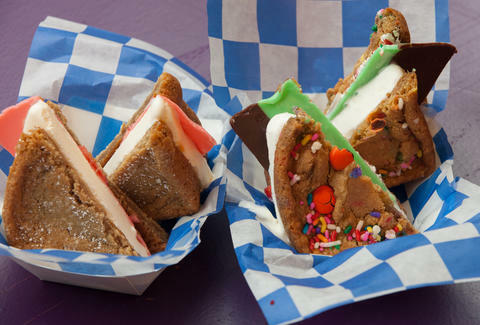 Now in Union Square, the dessert deli is still pushing out their ice cream-based recreations of sandwiches (e.g, the French Dip turns into a French Chip) and will always let you mix up your own. We're recommending a French Toast Cookie with bananas, crushed chips, milk chocolate fudge, whatever the ice cream flavor of the day is, and Nutella spread. 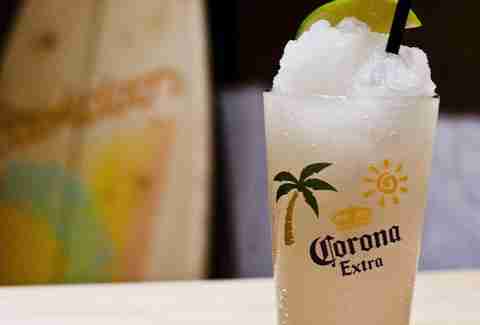 Through some magic involving blenders, ice, and a touch of hard booze, the underground surf bar in Hell's Kitchen serves maybe the perfect Summer drink: tasty, refreshing as hell, and highly sessionable. 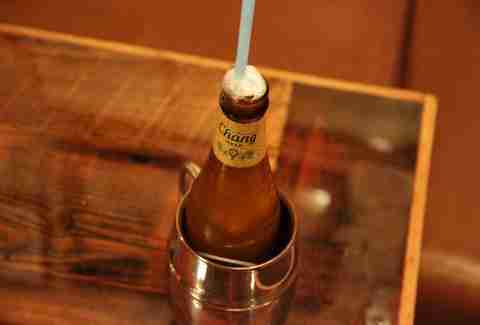 Speaking of beer wizardry, this Thailand favorite (also called Bia Wun or Jelly Beer) ups the ice coldness levels of your brew way more than a giant silver train ever could. They stick it in a special machine that pretty much swirls a sealed bottle around, which in turn freezes it. Then you open it up and have a fantastic excuse to drink it as fast as possible. Behind this rather unsuspecting name lies a crazy-delicious deconstructed take on the childhood favorite Ants on a Log. 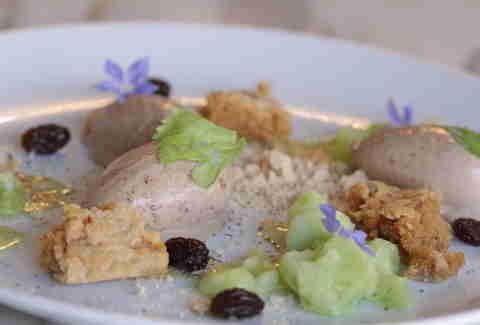 You've got raisin gelato and brandy-soaked raisins, celery granita (essentially a celery-flavored sno-cone, minus the cone), and peanut butter shortbread.